Have you seen our Meetup Account? We have just under 800 members and it’s primarily used by two of our groups, Hike Norfolk and Legstretchers. 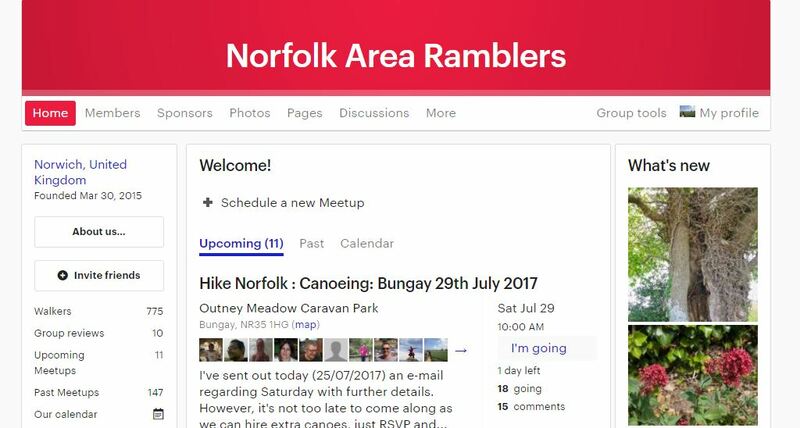 There are lots of events listed on there and Hike Norfolk now use this as their primary way of advertising new events, so keep an eye out! 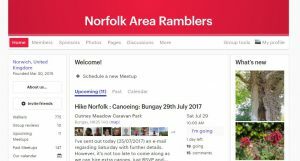 At the moment, in addition to the weekly Hike Norfolk walks, there are also pub nights, a canoeing trip, a cycling day out, a tubing evening out and a Norfolk Broads cruiser day trip. It’s free to join – so sign up and see all of the events that we list!